When visiting a mountain resort it is always good to have someone on the ground who knows the resort like the back of their hand and who is well connected. 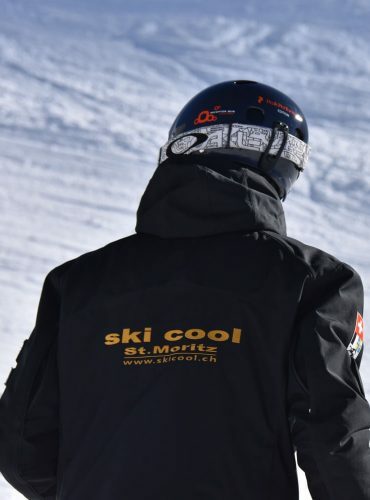 For St. Mortiz that someone is actually a company called Ski Cool Stmoritz. On the face of it, you would think that Ski Cool is just a ski school, but far from it, Ski Cool offer so much more. I initially met Alina the Head of Marketing and Communications back in London and was impressed with her professional demeanor. 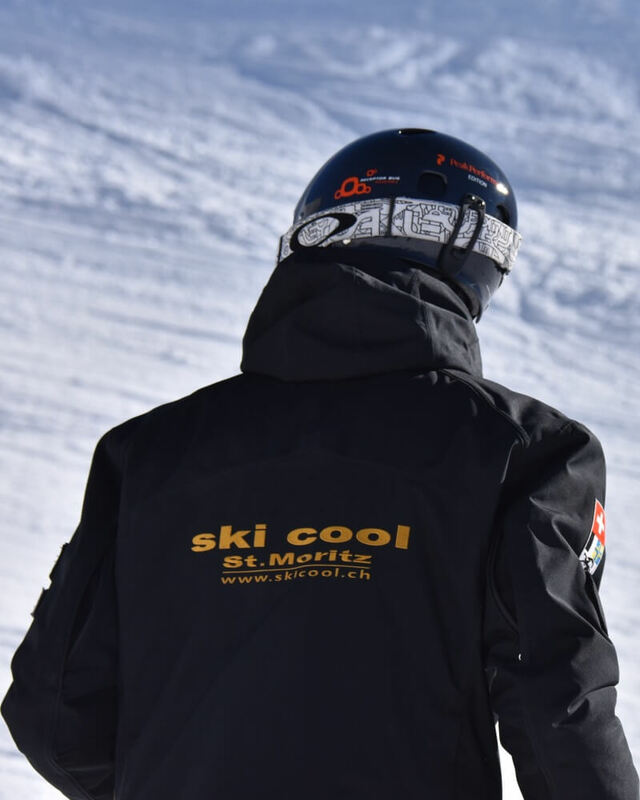 Ski Cool have used their initiative and teamed up with many of the local Engadin businesses to create a complete offering for pretty much everything that one would want to do in the mountains. Over the coming months she helped Cheeky and I plan what was to be one of the most fun-packed weeks that we have had in the Alps. 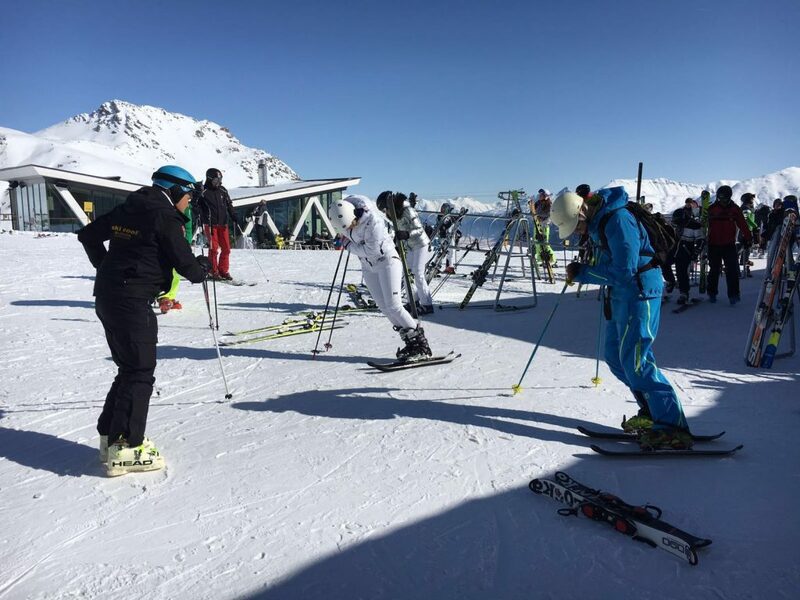 First up, of course was skiing with instruction from the founder and director of the Ski Cool Vittorio Caffi. 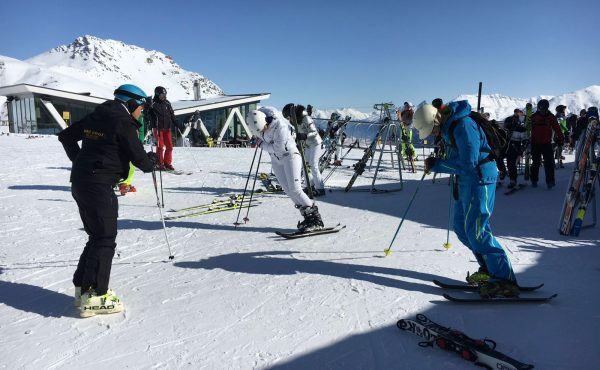 As vice president of the International Ski Instructors Association Vittorio is possibly one of the most qualified ski instructors in the industry as well as a professor of architecture in Italy. I am not sure where he finds the time to fit this all in, I swear he must have some kind of time travelling machine! But I can gladly say that you will be in good hands with Vittorio. Our Ski lesson was not going to be your normal lesson though. Vittorio was to introduce us to the UPS system of skiing. 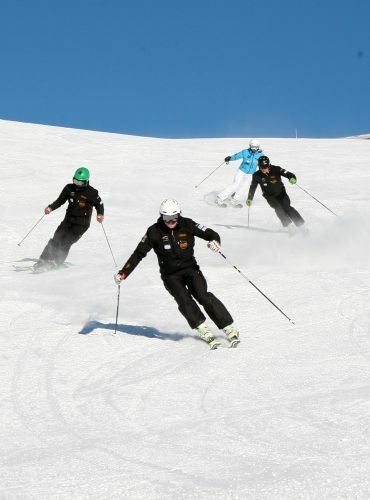 UPS is a modern teaching methodology whereby progressively using three different length of skis, one can start skiing parallel from the very beginning of one’s skiing career. We started on very short skis of about 95cm long. When I first put them on I felt like a smurf on skis, which may have had something to do with my blue outfit. However, despite feeling like a smurf these were great to help train the balance and position of the body over the skis. 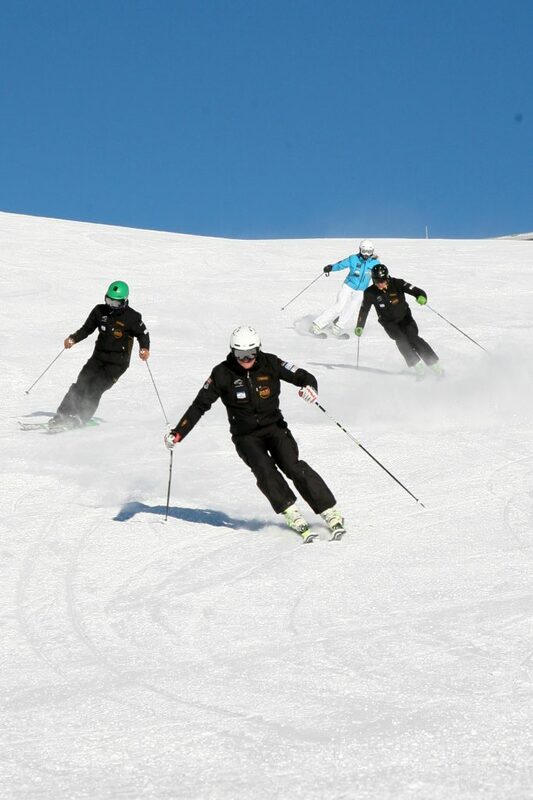 We worked through various exercises to promote correct body position, balance and ultimately control of the skis. As the day went on we said goodbye to the smurf skis and progressed to the 125cm length skis whilst repeating and perfecting the previous exercises on the new length of ski. I noticed that this progression improved Cheeky’s techniques even further and I discovered it was great for magnifying the weakness in my left turn which is usually hidden on normal long skis. As we progressed further, we moved back to our normal length skis, still using the same techniques and drills and improving our skiing even further. I would recommend UPS, which is unique to Ski Cool in Switzerland to anyone of any standard of skiing. I can see that the learning curve for beginners is vastly shortened and for intermediates upwards it will only improve your technique, balance and position further. I would also say that Vittorio is possibly one of the finest instructors I have been taught by. He has a fabulous attitude and enthusiasm which comes across in his lessons. The lesson was engaging and also highly entertaining, especially for Cheeky who witnessed me fall twice (Which never happens… honest!) However, I say if you are not falling over you are not trying. Well I am going with that excuse anyway. Alina who is far more than just Head of Marketing and Communications, she seems to act as concierge running around the mountain making sure everything runs to plan. Her next plan for us was to see the mountains from the sky! Working with Swiss Helicopter she arranged a flight for Cheeky and I to travel through the mountains in a helicopter. Like tiny children, Cheeky and I could not contain our excitement. All mountain oriented machines get me going, from piste bashers to skidoos, and helicopters are way up there! Please excuse the horrendous pun. As the Heli first took off it felt like a huge insect as its blades bit into the thin mountain air and it found its balance over the first few meters. Once this magnificent machine found its mojo we were off and climbing up towards the heavens where the mountain peaks dwell. We left behind the people, the buildings and eventually the trees vanished into insignificance down below, we were now in a world of soaring mountain tops and gargantuan glaciers with deep crevices. We passed the peak of Piz Rosatsch and as we cleared the ridge the world fell away below us causing Cheeky to gasp aloud. We approached the next ridge of mountains and we could see the glaciers and peaks in more detail, ‘allegedly’ we hit a thermal the pilot told us and the helicopter dipped a little which made Cheeky squeal and sink her nails into my leg leaving a permanent mark. 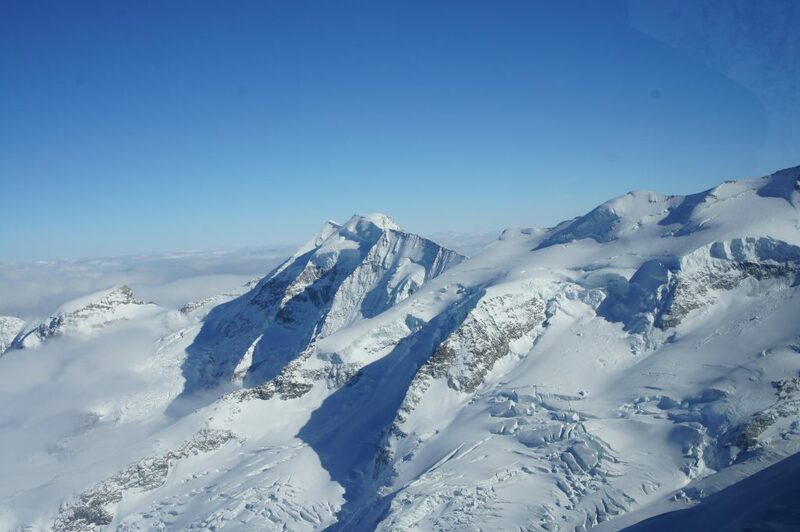 We then flew in close past Piz Boval and other various peaks which made one feel like one was in the opening sequence of a movie as small clouds gently floated past us here and there. We then travelled down the next valley following the Ova da Bernina river past Pontresina and on down to Samedan airport. 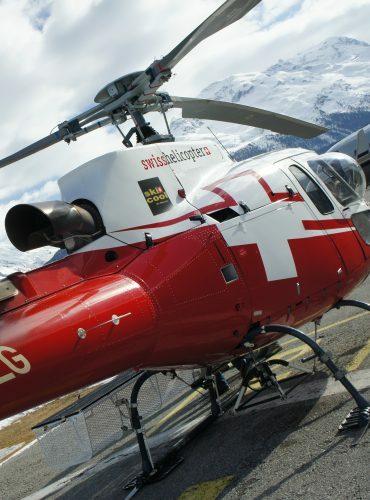 Flying through the mountains of the Engadin was a dream come true for the both of us thanks to Swiss Helicopter and Ski Cool. Amongst other things Ski Cool also arranged for us to have a private viewing at the Bulgari store and dinner at the fabulous seafood restaurant Murtaröl. However Ski Cool have many other partners who can provide ski and snowboards equipment, luxury hotels like The Nira Alpina or luxury properties to rent or even buy. Ski Cool can also organise any experience from bobsleigh runs and skydiving for the daring, horse drawn sleigh rides for the romantic, or for the more laid-back there is the likes of curling or snowshoeing. 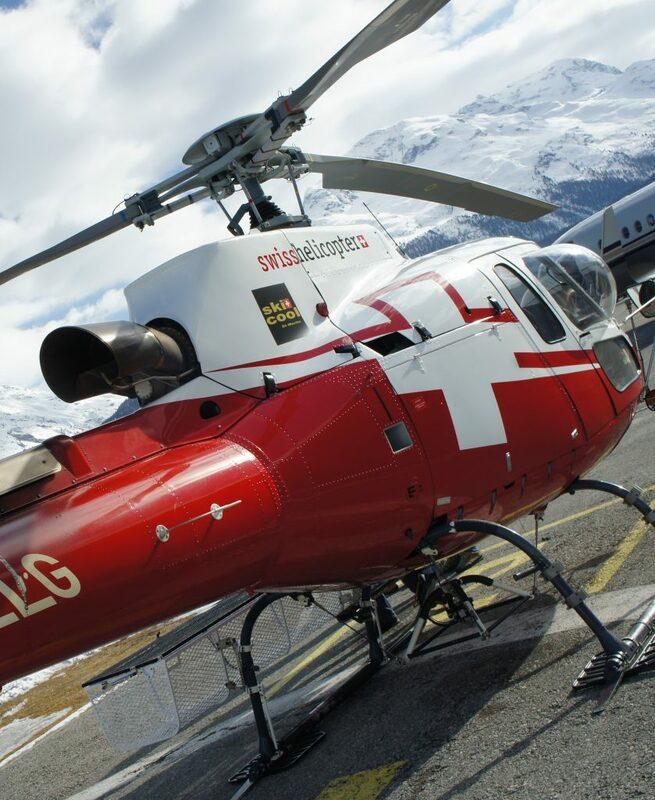 If you are in the Engadin area and want the time of your life then look no further than Ski Cool, your wish is their every command.